Kommentar: My dissertation investigates social cognition, cooperation, and feeding ecology of bonobos, a species of ape closely related to humans. 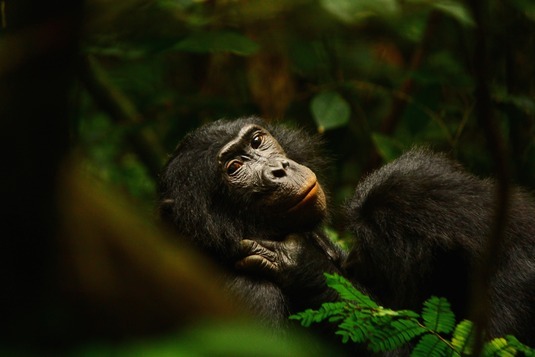 My fieldwork brought me to the Luikotale Bonobo Project, deep in the forests of the Democratic Republic of the Congo. There, I spent my days following a wild community of bonobos and documenting the interactions that shape their complex social structure. This photo shows the adult male Ben tenderly removing ectoparasites and dirt from his mother Zoe's neck. This sort of grooming not only helps to keep the bonobos clean, it creates and reinforces social bonds between individuals.